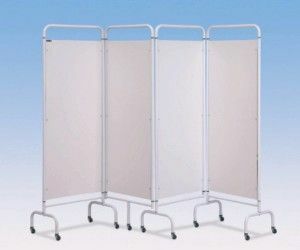 3, 4 and 5 Section Folding Mobile Screens. 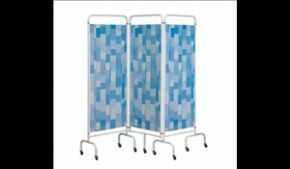 These practical yet durable 3, 4 and 5 section folding screens are easy to move and can be folded away when not in use. Made from flame retardant material, the smooth panels can be easily wiped clean. Supplied flat packed and easy to assemble. 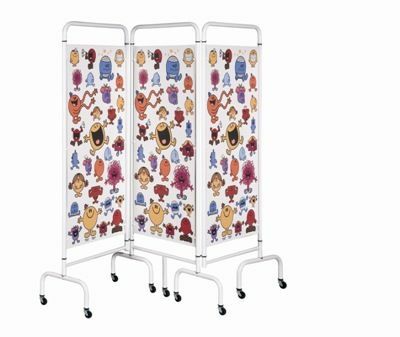 Available in an attractive Patchwork Blue, Plain White or for children’s areas the highly popular Mr Men™ patterned print.